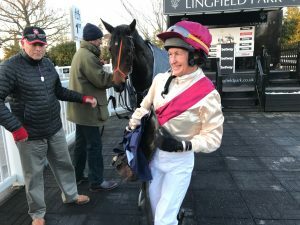 Sally Randell comes out of retirement, wins and then re-retires! 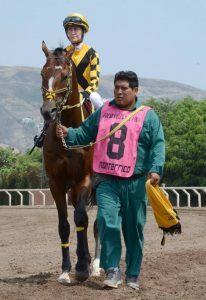 Our military races are an integral part of our calendar and never seem to disappoint, with extraordinary stories often emerging. 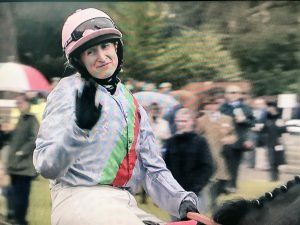 Surely nobody can forget in recent years the emotional victories of Brodie Hampson and then of Guy Disney with back-to-back victories in last and this year’s Royal Artillery Gold Cup. 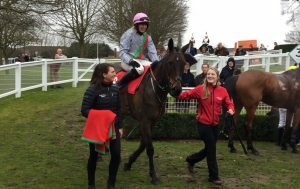 The lead-up to Cheltenham obviously dominated all racing news in the week leading up to it but there are always plenty of stories out there and none more remarkable than the comeback ride out of retirement of Sally Randell which preceded Billy Aprahamian’s magnificent victory later in the afternoon of the Grand Military Gold Cup. 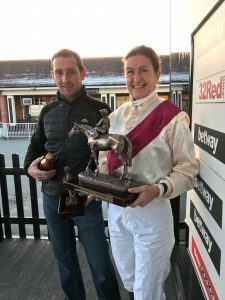 Specifically targeting her regular ride at home, 14 year-year-old RATIFY trained by partner Fergal O’Brien, Sally dusted off her boots and to her joy all went exactly to plan – to win the Queen Elizabeth The Queen Mother Memorial Amateur Riders’ Handicap Hurdle at the Military meeting at Sandown on 9th March! 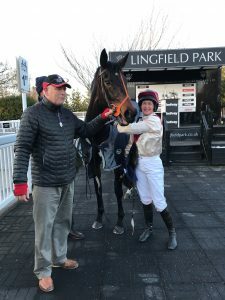 Leading early on, Sally only had to shake her horse up from 2 out for him to respond to her urgings and take up the lead on the flat and go on to win gamely by over a length. 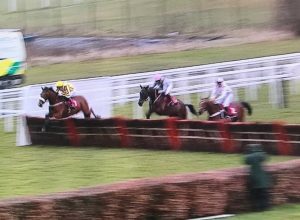 Many congratulations to Lincolnshire’s successful point-to-point jockey Tom Strawson who enjoyed his first winner under Rules at Catterick with DUHALLOW TORNADO for Chris Pimlott. 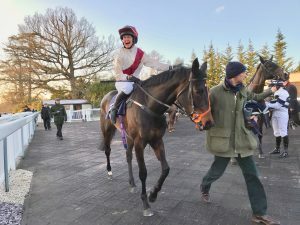 Plans for this summer’s lady jockeys’ pro/am Silk Series have been announced with added fixtures taking the total to 13 races to include races from non-Arena racecourses Goodwood, Hamilton, Musselburgh and York. 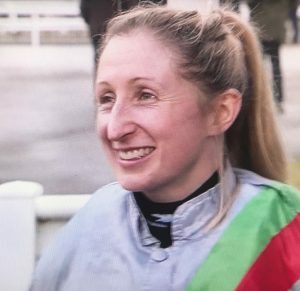 Ex-amateur apprentice Megan Nicholls won the 2017 Tufnell Trophy and this year the point-based series offers a total of £150,000 in prize-money, with the £20,000 finale programmed to take place at the St Leger meeting. 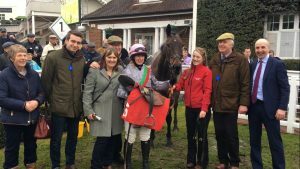 Our favourite race from last year has to be Newcastle’s with amateurs monopolising the first three places: triple champion lady rider Carol Bartley won aboard Archipelago for Iain Jardine with Ella McCain 2nd (Sikandar) and Carly Scott 3rd (Royal Reserve). Good luck ladies! We look forward to a great summer ahead. 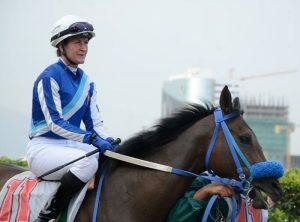 Antonia Peck defied the elements and managed to make it to the airport to ride for the UK in Houston Texas on Saturday 3 March in the HH Sheikha Fatima bint Mubarak Ladies World Championship. The severe weather disrupted travel plans for many of the Euroopean ladies and another bad weather front in the US itself stopped their lady rider from taking part with flights grounded on the East Coast. 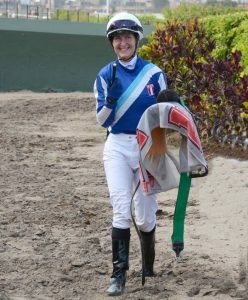 Many congratulations to Antonia who enjoyed a fantastic trip and finished 3rd with Sweden’s Tina Henriksson victorious on UPTOWN SANDY GIRL denying Cindy Klinkenberg in a close finish. 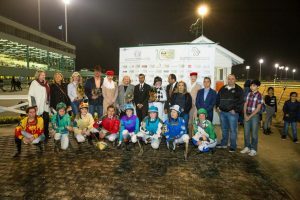 Thanks as always to Lara Sawaya, Executive Director of HH Sheikh Mansoor Bin Zayed Al Nahyan Global Arabian Horse Flat Racing Festival, for these great opportunities for our lady riders which are hugely appreciated by us all.